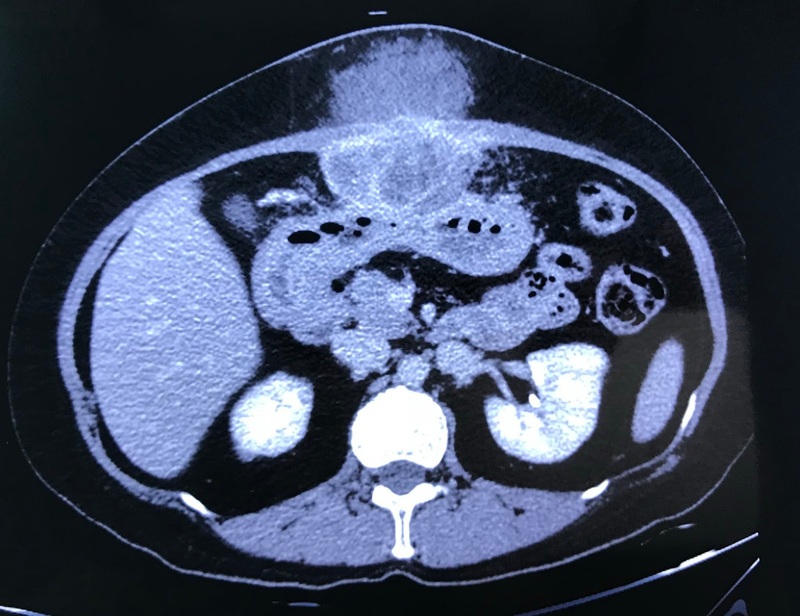 Woman 43 yo with epigastric pain has been treated as gastritis. 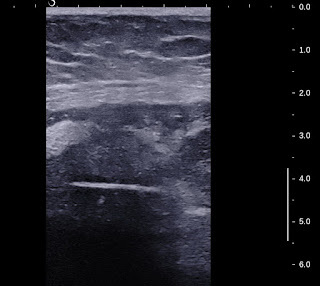 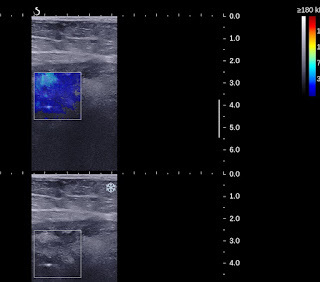 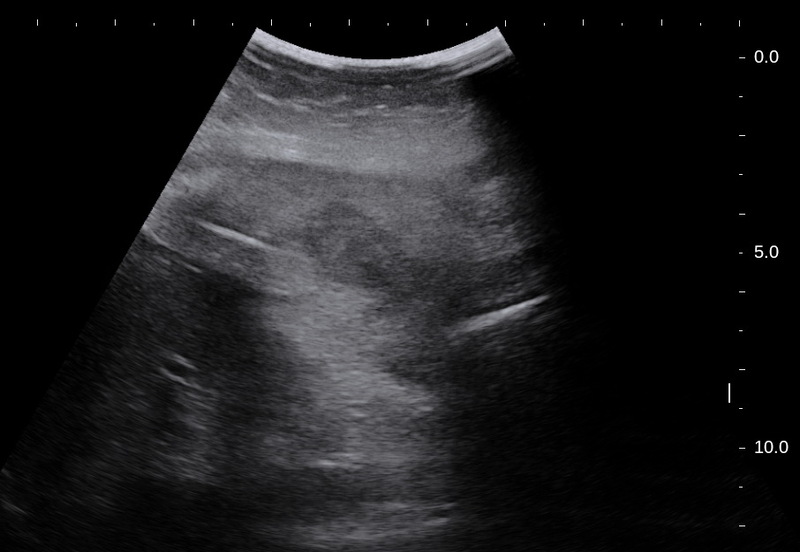 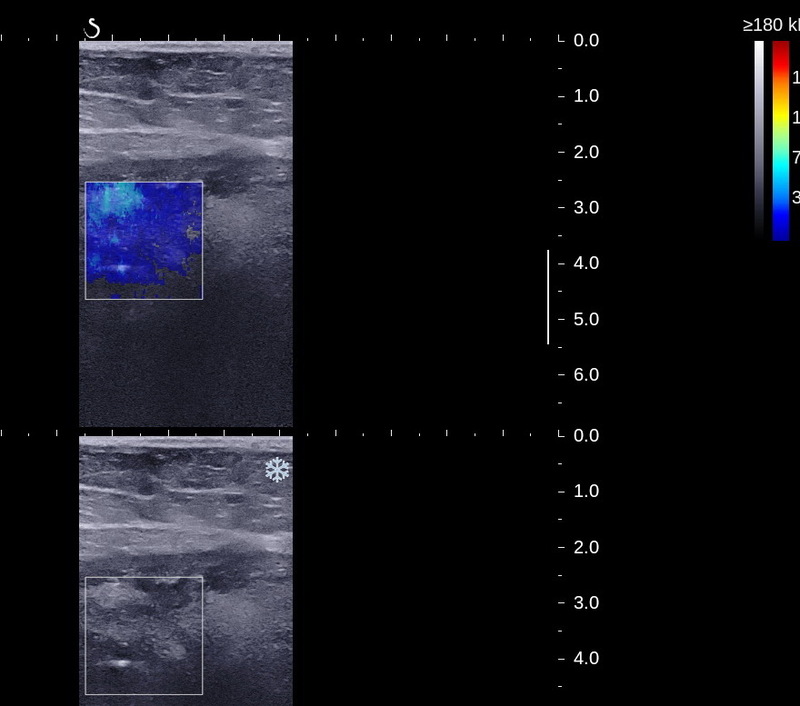 Ultrasound detected near falciform ligamentun of liver one abscess with foreign body long 3 cm look like fishbone ( US1, US 2, US 3 SWE shows it is very hard, US video). CT scan no CE shows this fishbone is in a perihepatic abscess (CT1). 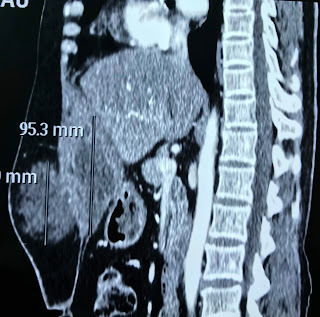 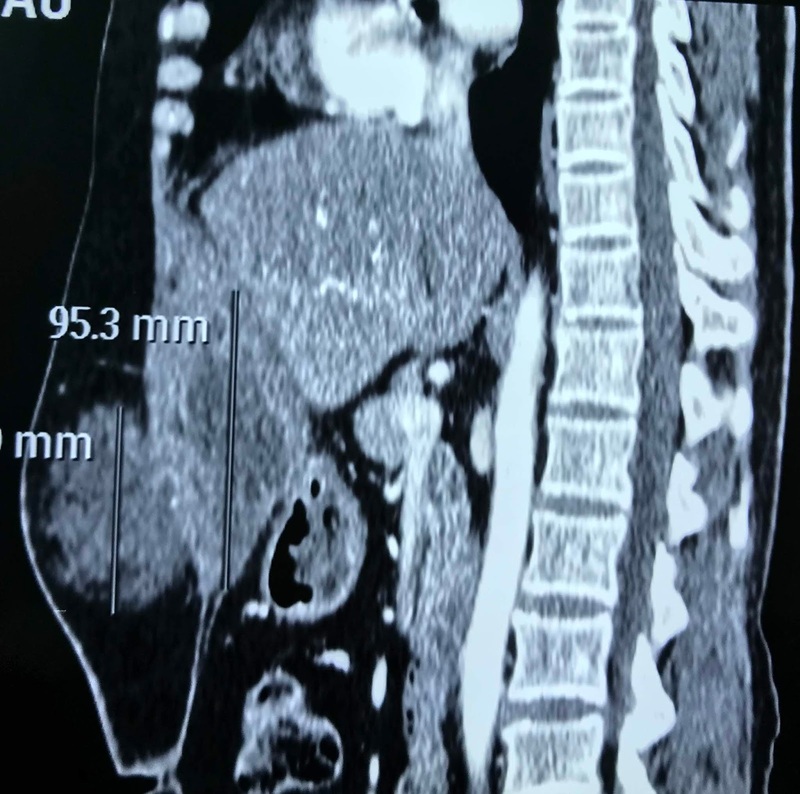 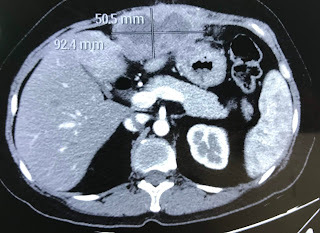 One month later the second CT examination with CE: CT 2 shows this abscess is pulling abdominal wall out like a hourglass [CT 2, CT 3 sagital view]. 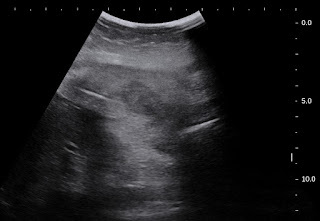 Emergency operation of this abscess retrieved pus with a fishbone.